From her earliest years, Marilyn’s life was shaped by a loving family and the Holy Names Sisters. Her mom and dad, Hazel and Jack, were dominant influences in the development of her faith life and were examples of compassion, helping others and having a generous spirit. The spirit of community and good times was also evident when the Millers spent time every weekend with grandparents, aunts, uncles and cousins! Marilyn and her older brother Jack attended St. Cecilia School. She loved school and made lifelong friends. Many of the values that were instilled in her by her parents were reinforced by the Sisters of the Holy Names: deep spirituality, compassion, generosity, hospitality and excellence in education. After graduation from Mercy High School, San Francisco, Marilyn attended College of the Holy Names in Oakland. It was there that Marilyn and Carol Sellman (also celebrating her 50th Jubilee) got to know each other when they roomed together in the dorm in the famous “six pack.” Little did either of them realize that this friendship, which began in 1963, would continue to the present day. Following her sophomore year in college, Marilyn entered the Sisters of the Holy Names in Los Gatos. She received her B.A. and teaching credential from Holy Names University and a Master’s in Education from SFSU. During the 11 years she spent teaching junior high students, she especially liked moderating student councils, planning Confirmation retreats, developing leadership and positive self-esteem and encouraging outreach to others. It came as quite a surprise when she was asked to be a principal, a role which she continued to fill for 29 years at St. Anastasia (Los Angeles), St. Stephen (Monterey Park) and St. Cecilia (San Francisco)! Good mentors and role models within the SNJM community and opportunities for professional development were critical in supporting her as she moved from teacher to administrator. 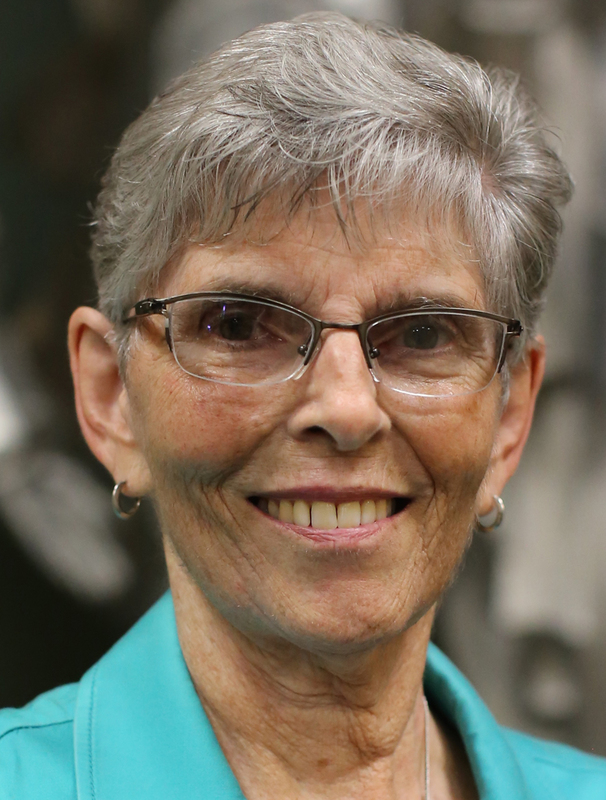 For three years, Sister Marilyn served as the SNJM Elementary Coordinator and treasured the opportunity to visit classrooms and meet with teachers, principals and pastors. From 1992-2012, Sister Marilyn served as principal at her home parish, St. Cecilia. Her dad loved seeing her name listed in the Sunday parish bulletin! While being an administrator had its challenges, she was fortunate to minister with a supportive pastor, faculty and staff. Together they continued the long tradition of working with parents to make SC a positive learning environment for children. It was such a blessing to be part of a parish family where the school and parish were a positive influence on so many people. St. Cecilia was where Sister Marilyn’s education began and where she concluded 44 years as a Catholic educator. Sister Marilyn is grateful for the wonderful people God has placed in her life through the years: her family, friends, ministry partners and Sisters in community who challenge her and surround her with love and support every day!